Diagrams of rule trees enable users to visualize the logic of a large system of legal rules. Each node of a rule tree is a proposition, capable of having any one of three truth-values (“true” / “undecided” / “false”). 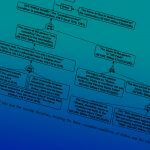 The top node of a tree represents the ultimate issue to be proved before some particular governmental action is justified (for example, entering a court judgment that “the petitioner is entitled to compensation under the National Vaccine Injury Compensation Program”). Each level of each branch extending downward from the top node states the logical conditions for proving the immediately higher proposition. When a legal proceeding begins, all propositions that form the conditions of the applicable legal rules are “undecided.” Participants in the legal process produce evidence and arguments to persuade the decision-maker (whether judge, regulator, or factfinder) to change the values of those propositions to either “true” or “false.” Put another way, the legal rules identify the propositions that are relevant within the type of proceeding, but the particular proceeding begins with the decision-maker being neutral on whether the conditions for applying those rules are satisfied or not. 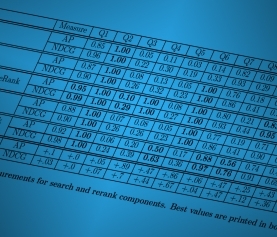 The LLT Research Lab uses software developed by Apprentice Systems, Inc. to create a single rule tree capturing those rules that are the same for all of the decisions that we will model in our study sample, with the tree focused on those sub-rules that are the target of our investigation. 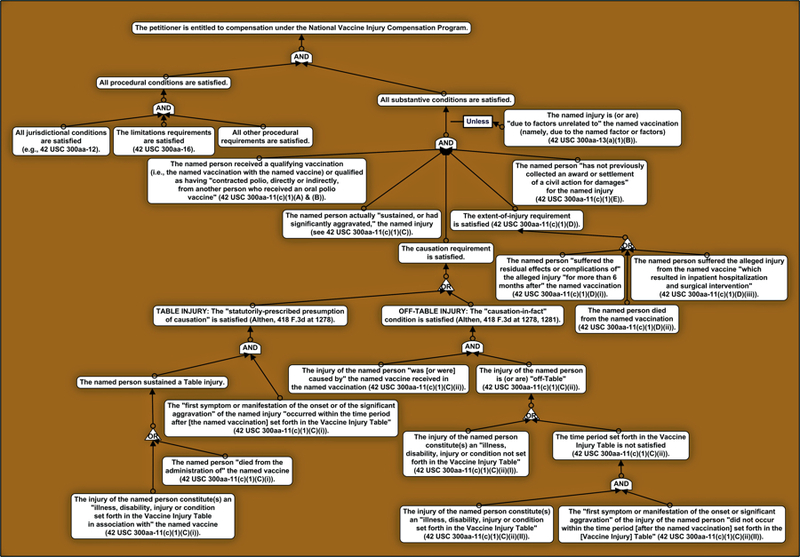 For example, in our Vaccine / Injury Project, our rule tree diagram (shown above) captures the statutory rules that are the same for all the decisions in our sample, and it is focused on the rules for proving causation in fact in so-called “Off-Table” cases. Logical connectives combine the propositions represented into a single tree, by linking the different levels within the tree. A branch can also be created by the logical connective “UNLESS.” The truth of such a branch defeats the conclusion immediately above it, regardless of the truth-values of the conditions immediately under that conclusion. In the example below, if the defeater proposition (“The named injury is (or are) ‘due to factors unrelated to’ the named vaccination (namely, due to the named factor or factors) (42 USC 300aa-13(a)(1)(B))”) has the value “true,” then the conclusion (“All substantive conditions are satisfied”) is assigned the value “false,” regardless of the truth-values of the conditions under the connective AND. The awkward wording of the defeater proposition in the diagram just above illustrates an important feature of logic diagrams that we create as templates for our case models. 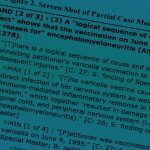 When we model the reasoning in a particular Vaccine Act decision, the phrases “the named injury,” “the named vaccination,” and “the named factor or factors” will receive substituted values: respectively, the particular injury alleged in the particular case, the date of the vaccination involved in that case, and any other factors that allegedly caused the injuries or injuries, other than the vaccine. These “global subjects” in the generic tree are worded so as to produce acceptable English sentences once the substitutions occur. Finally, it is worth mentioning that, because rules tend to have multiple conditions for making an inference to a single conclusion, successively lower levels of a rule tree tend to expand horizontally as they expand downward. The shape of the inverted tree therefore tends to be triangular, with the single ultimate issue as the apex at the top, dependent for its truth or falsehood upon combinations of factual issues that terminate the branches along the triangle’s base at the bottom. Rule tree diagrams illustrate that systems of legal rules always tend to expand, with the law becoming more complex as new rules are added.